Zhang Shu-Dong, Jin Jian-Jun, Chen Si-Yun, Chase W. Mark, Soltis E. Douglas, Li Hong-Tao, Yang Jun-Bo, Li De-Zhu*, Yi, Ting-Shuang*, 2017. Diversification of Rosaceae since the Late Cretaceous based on plastid phylogenomics. New Phytologist (doi: 10.1111/nph.14461). Wang Yin-Huan, Qu Xiao-Jian, Chen Si-Yun, Li De-Zhu*, Yi Ting-Shuang*, 2017. Plastomes of Mimosoideae: structural and size variation, sequence divergence, and phylogenetic implication. Tree Genetics & Genomes 14: 41. The Legume Phylogeny Working Group (LPWG). A new subfamily classification of the Leguminosae based on a taxonomically comprehensive phylogeny. Taxon 66: 44-77. Yang Mei-Qing, Li De-Zhu, Wen Jun*, Yi Ting-Shuang*, 2017. Phylogeny and biogeography of the amphi-Pacific genus Aphananthe. PLoS ONE 12: e0171405. Qu Xiao-Jian, Jin Jian-Jun, Chaw Shu-Miaw, Li De-Zhu*, Yi Ting-Shuang*, 2017. Multiple measures could alleviate long-branch attraction in phylogenomic reconstruction of Cupressoideae (Cupressaceae). Scientific Reports 7: 41005. Xiang Yezi, Huang Chien-Hsun, Hu Yi, Wen Jun, Li Shisheng, Yi Ting-Shuang, Chen Hongyi, Xiang Jun, Ma Hong, 2017. Evolution of Rosaceae fruit types based on nuclear phylogeny in the context of geological times and genome duplication. Molecular Biology and Evolution 34: 262-281. He Shui-Lian, Yang Yang, Morrell L. Peter, Yi Ting-Shuang*. 2015. Nucleotide sequence diversity and linkage disequilibrium of four nuclear loci in foxtail millet (Setaria italica). PloS One 10: e0137088. Yi Ting-Shuang, Jin Gui-Hua, Wen Jun, 2015. Chloroplast capture and intra- and inter- continental biogeographic diversification in the Asian - New World disjunct plant genus Osmorhiza (Apiaceae). Molecular Phylogenetics and Evolution 85: 10-21. Zhang Shu-Dong, Ling Li-Zhen, Yi Ting-Shuang, 2015. Evolution and divergence of SBP-box genes in land plants. BMC Genomics 16: 787. (doi: 10.1186/s12864-015-1998-y). Xie Lei, Yang Zhi-Yun, Wen Jun*, Li De-Zhu, Yi Ting-Shuang*, 2014. Biogeographic history of Pistacia (Anacardiaceae), emphasizing the evolution of the Madrean-Tethyan and the eastern Asian-Tethyan disjunctions. Molecular Phylogenetics and Evolution 77: 136-146. Ishikawa Naoko, Ikeda Hajime, Yi Ting-Shuang, Takabe-Ito Eriko, Okada Hiroshi, Tsukaya Hirokazu, 2014. Lineage diversification and hybridization in the Cayratia japonica–Cayratia tenuifolia species complex. Molecular Phylogenetics and Evolution 75: 227-238. Yang Zhi-Yun, Yi Ting-Shuang, Zeng Liang-Qin, Gong Xun, 2014. The population genetic structure and diversification of Aristolochia delavayi (Aristolochiaceae), an endangered species of the dry hot valleys of the Jinsha River, southwestern China. Botany-Botanique 92: 579-587. Wu Zeng-Yuan, Monro K. Alex, Milne I. Richard, Wang Hong, Yi Ting-Shuang, Liu Jie, Li De-Zhu, 2013. Molecular phylogeny of the nettle family (Urticaceae) inferred from multiple loci of three genomes and extensive generic sampling. Molecular Phylogenetics and Evolution 69: 814-827. Li Xiang, Peng Li-Yan, Zhang Shu-Dong, Zhao Qin-Shi, Yi Ting-Shuang*, 2013. The relationships between chemical and genetic differentiation and environmental factors across the distribution of Erigeron breviscapus (Asteraceae). Plos One: e74490. Li Rong, Ma Peng-Fei, Wen Jun*, Yi Ting-Shuang*, 2013. Complete sequencing of five Araliaceae chloroplast genomes and the phylogenetic implications. Plos One: e78568. Yang Mei-Qing, van Velzen Robin, Bakker T. Freek, Sattarian Ali, Li De-Zhu, Yi Ting-Shuang*, 2013. Molecular phylogenetics and character evolution of Cannabaceae. Taxon 62: 473-495. Li Xiang, Zhang Shu-Dong, Yang Zhi-Yun, Song Ke-Xian, Yi Ting-Shuang*, 2013. Conservation genetics and population diversity of Erigeron breviscapus (Asteraceae), and important Chinese herb. Biochemical Systematics and Ecology 49: 156-166. 唐敏, 伊廷双, 王欣, 谭美华, 周欣, 2013. Metabarcoding技术在植物鉴定和多样性研究中的应用。 植物分类与资源学报 35: 769-773. 马莉萍, 伊廷双, 左显维, 张彪, 李云霞, 韩根亮, 2013. 构建基于磁珠微流控芯片的iFlora遗传信息高效获取系统.植物分类与资源学报 35: 779-783. He Shui-Lian, Wang Yun-Sheng, Volis Sergei, Li De-Zhu*, Yi Ting-Shuang*, 2012. Genetic diversity and population structure: implications for conservation of wild soybean (Glycine soja Sieb.et Zucc) based on nuclear and chloroplast microsatellite variation. International Journal of Molecular Sciences 13：12608-12628. Li Rong, Yi Ting-Shuang, Li Heng, 2012. Is Remusatia (Araceae) monophyletic? Evidence from three plastid regions. International Journal of Molecular Sciences 13: 71-83. 李德铢, 王雨华, 伊廷双* (通讯作者), 王红, 高连明, 杨俊波, 2012. 新一代植物志: iFlora. 植物分类与资源学报 34: 525-531. 李洪涛, 曾春霞, 高连明, 伊廷双, 杨俊波, 2012. 遗传信息及其获取技术与iFlora. 植物分类与资源学报 34: 585-591. 骆洋, 何延彪, 李德铢, 王雨华, 伊廷双, 王红, 2012. 中国植物志、Flora of China和维管植物新系统中科的比较. 植物分类与资源学报 34: 231-238. 曾春霞, 杨俊波, 杨静, 伊廷双, 林春艳, 2012. 关于iFlora创建工作框架的建议. 植物分类与资源学报 34: 555-561. China Plant BOL Group, 2011. Comparative analysis of a large dataset indicates that ITS should be incorporated into the core barcode for seed plants. Proceedings of the National Academy of Sciences, USA 108: 19641-19646. Li Xiang, Song Ke-Xian, Yang Jing, Yi Ting-Shuang*, 2011. Isolation and characterization of 11 new microsatellite loci in Erigeron breviscapus (Asteraceae), an important Chinese traditional Herb. International Journal of Molecular Sciences 12: 7265-7270. Meng Jing, Fougère-Danezan Marie, Zhang Li-Bing, Li De-Zhu*, Yi Ting-Shuang* , 2011. Untangling the hybrid origin of the ancient Chinese tea roses: evidence from DNA sequences of single-copy nuclear and chloroplast genes. Plant Systematics and Evolution 297:157-170. Lu Jin-Mei, Li De-Zhu, Lutz Sue, Soejima Akiko, Yi Ting-Shuang, Wen Jun, 2011. Biogeographic disjunction between eastern Asia and North America in the Adiantum pedatum complex (Pteridaceae). American Journal of Botany 98：1680-1693. Zhang Shu-Dong, Soltis E. Douglas, Yang Yang, Li De-Zhu*, Yi Ting-Shuang*, 2011. Multi-gene analysis provides a well-supported phylogeny of Rosales. Molecular Phylogenetics and Evolution 60: 21-28. Zhou Yan-Ying, Luo Shi-Hong, Yi Ting-Shuang, Li Chun-Huan, Luo Qian, Hua Juan, Liu Yan, Li Sheng-Hong, 2011. Secondary metabolites from Glycine soja and their growth inhibitory effect against Spodoptera litura. Journal of Agricultural and Food Chemistry 59: 6004-6010. 骆洋, 何延彪, 李德铢, 王雨华, 伊廷双, 王红, 2011. 中国植物志、Flora of China 和维管植物新系统中科的比较. 植物分类与资源学报 33: 101-107. Xie Lei, Yi Ting-Shuang*, Li Rong, Li De-Zhu, Wen Jun *, 2010. Evolution and biogeographic diversification of the witch-hazel genus (Hamamelis L., Hamamelidaceae) in the Northern Hemisphere. Molecular phylogenetics and Evolution 56: 675-689. Song Ke-Xian, Wang Yu-Hua, Yi Ting-Shuang, Yang Zhi-Yun, 2010. Karyological studies of Erigeron breviscapus and related species. Caryologia 63: 176-183. Meng Jing, Li De-Zhu, Yi Ting-Shuang*, Yang Jun-Bo, Zhao Xing-Feng, 2009. Development and characterization of microsatellite loci for Rosa odorata var. gigantea Rehder & E. H. Wilson (Rosaceae). Conservation Genetics 10: 1973-1976. Yi Ting-Shuang, Wen Jun*, Golan-Goldhirsh Avi, Parfitt E. Dan, 2008. Phylogenetics of Pistacia (Anacardiaceae) inferred from multiple molecular data sets. American Journal of Botany 95: 241-251. Wen Jun, Berggren T. Scott, Lee Chung-Hee, Ickert-Bond Stefanie, Yi Ting-Shuang, Yoo Ki-Oug, Xie Lei, Shaw Joey, Potter Dan, 2008. Phylogenetic inferences in Prunus (Rosaceae) using chloroplast ndhF and nuclear ribosomal ITS sequences. Journal of Systematics and Evolution 46: 322-332. Yi Ting-Shuang, Miller J. Allison, Wen Jun*, 2007. The phylogeny of Rhus (Anacardiaceae) based on sequences of nuclear NIA-i3 intron and chloroplast trnC-D suggests reticulate evolution. Systematic Botany 32：379-391. Dillon O. Dillon, Tu Tie-Yao, Soejima Akiko, Yi Ting-Shuang, Nie Ze-Long, Tye Alan, Wen Jun, 2007. Phylogeny of Nolana (Nolaneae, Solanoideae, Solanaceae) as inferred from granule-bound starch synthase I (GBSSI) sequences. Taxon 56: 1000-1011. Yi Ting-Shuang, Li Heng, Li De-Zhu*, 2005. Chromosome studies on the genus Pinellia (Araceae). Botanical Journal of the Linnean Society 147: 449-455. Yi Ting-Shuang, Miller J. Allison, Wen Jun, 2004. Phylogenetic and biogeographic diversification of Rhus (Anacardiaceae) in the Northern Hemisphere. Molecular and Phylogenetic Evolution 33: 861-879. Yi Ting-Shuang, Lowry II P. Porter, Plunkett M. Gregory, Wen Jun, 2004. Chromosomal evolution in Araliaceae and close relatives. Taxon 53: 987-1005. Yang Zhi-Yun, Yi Ting-Shuang, Li Heng, Gong Xun, 2003. A cytological study on three species of Colocasia (Araceae) from Yunnan. Caryologia 56: 323-327. Yi Ting-Shuang, Li Heng, 2002. Arisaema danzhuense (Araceae), a new species from the Gaoligong Mountains, Northwestern Yunnan, China. Novon 11: 512-514. 伊廷双，李恒，李德铢，2002. 天南星科分类系统的沿革. 武汉植物学研究 20： 48-61. 伊廷双, 胡虹, 罗桂芬, 2001. 昆明地区香石竹病毒病流行状况调查及脱病毒苗的制备. 云南植物研究 23: 345-349. 伊廷双, 胡虹, 张石宝, 2001. 香石竹的脱病毒苗与带病毒苗生长发育特性比较.云南植物研究 23: 251-255. He San-An, Yi Ting-Shuang, Pei Sheng-Ji, Huang Hong-Wen, 2013. Crop plants and their wild relatives. In: Hong De-Yuan and Stephen Blackmore (eds. ), Plants of China, A companion to the Flora of China. Science Press, Beijing, pp. 309-323. Yi Ting-Shuang, Morell L. Peter, Pei Sheng-Ji, He Shan-Aan, 2013. Major introduced economic plants. In: Hong De-Yuan and Stephen Blackmor (eds. ), Plants of China, A companion to the Flora of China. Science Press, Beijing, pp. 357-382. Tingshuang Yi, 2016.10.19-21. Plastid phylogenomics resolve difficult phylogenetic relationships of angiosperms. The 2016 CHINA-US Biodiversity Workshop ---Building Sino-US Collaboration Platform in Biodiversity Studies, Hangzhou, Zhejiang, China. Tingshuang Yi, 2016. 5. 4-8. Born Migrators: historical biogeography of cosmopolitan family. A meeting report at International Biogeography Society Special Meeting 2016, Beijing, China. Tingshuang Yi, 2014. 6.19. The phylogenomics of Malus. An academic report at the Missouri Botanic Garden (invited by Libing Zhang). Tingshuang Yi, 2013.10. 27-31. Chloroplast capture and genetic diversification in Osmorhiza (Apiaceae). 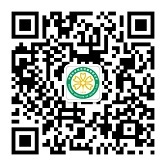 A meeting report at 2013 Fifth International Barcode of Life Conference, Kunming, China. Tingshuang Yi, 2011.8.19-22. Legume crops and their wild relatives in China. A meeting report at 2011 “the workshop on the global legume diversity assessment”, Fukuoka, Japan. Tingshuang Yi, 2010. New Frontiers in Systematic and Evolutionary Biology, Beijing. Tingshuang Yi, Allison J. Miller, Jun Wen. 2004. Phylogenetic and biogeographic diversifications of Rhus (Anacardiaceae) in the Northern Hemisphere. A poster presented by Jun Wen at the Botany 2004 Meetings, Snowbird, Utah, USA. Tingshuang Yi, Porter P. Lowry II, Gregory M. Plunkett, Jun Wen, 2003. 7. 26-31. Chromosomal evolution in the Araliaceae. A poster presented at the Botany 2003 meetings, Mobile, Alabama, USA.